During the weekend, a picture of the Samsung GALAXY Note II in black raised the hopes of those who have been dying to see the 5.5 inch phablet in classic black. Unfortunately, on Sunday out came the word that the picture was a mock-up created by a fan. But as we pointed out, that didn't mean that the Samsung GALAXY Note II wouldn't be coming out in the three other colors leaked earlier in the year. 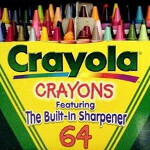 Those colors, Ruby Wine, Amber Brown and Topaz Blue, were supposed to be in addition to the original colors of Titanium Grey and Marble White. 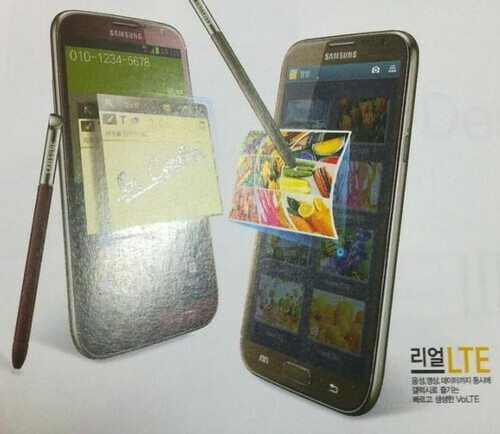 Thanks to a magazine in South Korea, we finally have a chance to see the phablet wearing Amber Brown and Ruby Wine. Considering the origin of the publication, and the fact that Samsung is headquartered in South Korea, it certainly would make sense to see the new colors offered there first. There is no guarantee that the new color options will ever make their way to the U.S., although they could be displayed in Las Vegas during CES 2013 beginning January 8th. Speaking of new color options, the Samsung GALAXY Note 10.1 tablet, Samsung GALAXY Tab 2 10.1 and the Samsung Galaxy Tab 2 7.0 are all expected to be available in Garnet Red soon, based on leaked press renders. The red color will be available only on the Wi-Fi/cellular variant of the three tablets. To be honest.. the note is ugly. Especially the home button. I realized this after seeing it in person. Me 2! Love samsung but not their build quality.. Haters,c'mon! WTH is with Samsumng thinking people want brown phones? There's a reason brown cars aren't made anymore, it's a HIDEOUS color! Uh, Brown is still one of the top US car color choices bud. If you don't like it then don't buy it, as simple as that. There are still some people out there who like brown. I'll go ahead and file that under "no sh*t". It's an opinion, brown is an ugly color. I have a brushed aluminum back already in dark blue. Bought the black back for my brother's Note II for Christmas. You can order them from eBay for $6-$10. They fit and look great. They had black, dark blue, light blue, red, purple, lime green, silver, and aluminum versions. I agree. I have the Note 2 in grey and love this phone so much. I get people stopping me to ask to see it all the time. However, I would have grabbed it in red/ruby, but I wouldn't have been able to wait a day, let alone months for the ruby. Just search aluminum cover for galaxy note 2 in the search engine and it will be there.